Its here!! Spring!! We are dusting off our Tea Garden at Heskin Hall Lancashire ready for your visit. As we see some sun light finally breaking through we can look outdoors and view the grey giving way to green and all the many colours of spring. What better way to enjoy it than to dine outdoors. 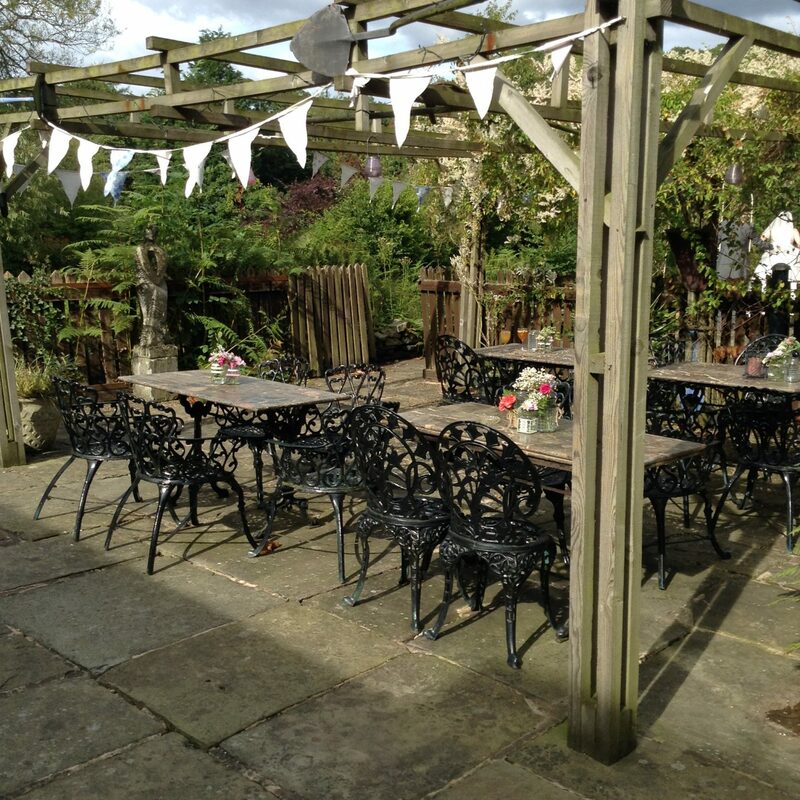 Enjoy the tranquility and fresh air of our large gardens from our Garden terrace Tea Garden at Heskin Hall Lancashire. It catches the sunlight every afternoon. Just step through from our dining rooms’ french windows straight out on to the terrace and relax. Enjoy a full meal from our dining room menu. From a Roast dinner to a sandwich. If you are looking for a refined Traditional Afternoon Tea served on vintage china we have this option too or just tea and cake! We are fully licensed so why not add a beer, glass of wine or prosecco ? Let the worries of the world fall away in this tranquil haven. Watch the wildlife from you seat. Heskin Hall is surrounded by woodland and 300 acres of farmland so you can be assured of peace and quiet. Our Garden Terrace is Pet Friendly. All well behaved dogs and their owners are welcome! !